The North American bid to host the 2026 World Cup now seems “afraid” of losing to Morocco, former FIFA president Sepp Blatter said Thursday. A change in strategy this week gave the leaders of the American, Canadian and Mexican soccer federations equal status in a bid that has been heavily favoured to win the hosting rights on June 13 in Moscow. The reshuffle reduced the role of previous bid chairman Sunil Gulati, the most senior American in FIFA who served on the soccer body’s executive committee under Blatter. Last month, Blatter wrote on Twitter that Morocco was the “logical host” of the 2026 tournament. FIFA preferred single-nation World Cup hosts under Blatter’s leadership. Still, Blatter declined to fully endorse Morocco’s ability to host a 48-team tournament alone. The 2026 edition will have the 16 extra teams wanted by Blatter successor Gianni Infantino, who supports multi-nation bids. “I don’t know if the Moroccans are able to organize a World Cup of 48,” Blatter told invited reporters at a briefing in Zurich related to his own legal issues. 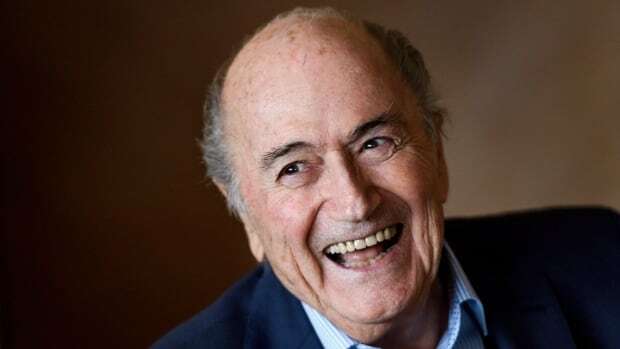 Two days ahead of his 82nd birthday, Blatter said he was “a happy man.” He is still seeking to challenge a six-year ban from soccer for unethical conduct, a punishment that followed Swiss federal prosecutors opening criminal proceedings against him in September 2015. He has yet to be charged. Though Blatter says he voted for the United States bid that lost to Qatar for the 2022 hosting rights, he said that doesn’t mean the country deserves to get the 2026 edition. Blatter acknowledged he once thought the 2026 contest was “a decision that was taken” in favour of North America. Blatter said the U.S. team’s failure to qualify for this year’s World Cup — which led to Gulati not seeking re-election as soccer federation president — complicated the leadership issue. The bid calls for the United States to host 60 of 80 games in 2026, with Canada and Mexico hosting 10 each.